Looking over the masts of boats at Saint Mary’s Bay. 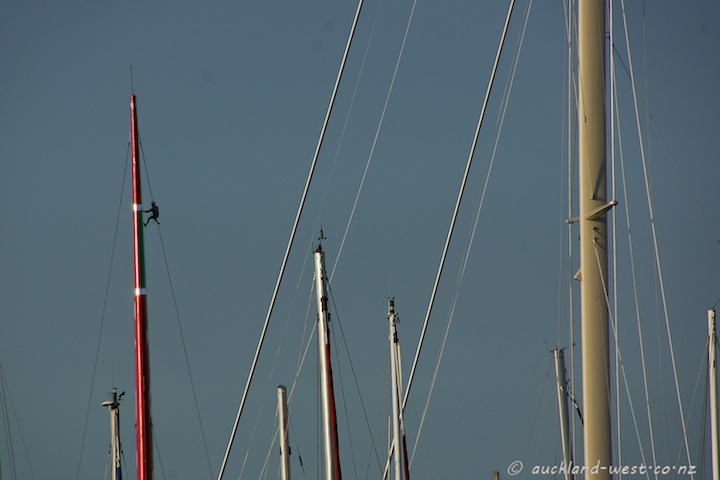 The red mast is about 40 metres high and belongs to the America’s Cup catamaran of Luna Rossa. Having just returned from a day’s sailing, I guess someone had to find out if the the top of the mast was still there.